The best product for beginners is unquestionably the FlashForge Finder 3D. While it is very affordable, it still provides good print quality. It is also highly compact – which could be an important consideration depending on your particular setup and type of usage. The best semi-professional model is the Dremel Digilab 3D45. Belonging to a higher class of product, it offers very good print quality (even for highly detailed objects). 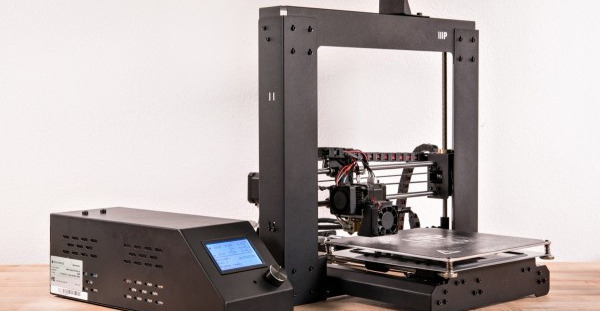 3D printers retailing for less than 500 euros are generally geared towards beginners. While these printers are not precise enough to produce industrial prototypes, they are perfect for taking your first steps into the world of 3D printing without spending much money. You will, however, want to avoid very inexpensive 3D printers which are often of poor quality – making them, for all intents and purposes, unusable. You should also be aware of the fact that models in this price range often have quite a limited print volume and limited print resolution. The Da Vinci Mini is the first 3D printer that we recommend in this guide and while it retails for a very low price, the quality of its printed objects is very respectable. This XYZ product is clearly geared towards beginners (which can be seen from its highly colorful packaging and small size) and is limited to using XYZ’s filament (filament produced by the printer’s manufacturer). The Da Vinci Mini has no physical buttons and is designed to be used with software that can be downloaded from the internet. This software is very easy to use and is available for both Windows and Mac. The types of materials that can be used with this 3D printer are quite limited; the Da Vinci Mini will refuse any attempt to use third-party filaments. The Da Vinci Mini’s printing speed depends on the quality of the object you are printing. When printing a dense object, it could easily take you around 4 hours to print – which is still quite fast compared to some of its competitors. If you choose a higher quality setting, don’t be surprised to have to wait for over 6 hours for your object to print. While this 3D printer is capable of printing good-quality objects, you will undoubtedly discover minor defects on your creations. Nevertheless, the overall finish of your printed objects will be smooth and they won’t stick to the print bed either. In conclusion, the Da Vinci Mini is one of the most interesting 3D printers in its price range. It is a good quality product – as much in terms of its construction as in the quality of its printed objects. This 3D printer’s main drawback is that it is limited to using XYZ filaments. Any attempt to use filaments from another manufacturer will be unsuccessful. The Monoprice Maker Select + is a very interesting 3D printer because of the many advantages it has over other devices in its price range. It is both simple to set up and to use. This printer comes with a manual that will instruct you on how to set it up and how to use it. While its overall design appears solid, some of its smaller components are quite lightweight and fragile. In addition to its steel frame, this printer is equipped with a touchscreen that will allow you to control all of the Maker Select’s features with the tip of your finger without having to go through a computer. This Monoprice printer does not take up much room and is pretty quiet; its software is also quite intuitive, making it easy to navigate through its menus. It is also rather impressive in terms of the quality of its printed objects – which are near perfect. When using this 3D printer, you will be able to select the object you would like to print, press a button and leave the room without having to worry about your model not printing properly. The Monoprice Maker Select + also accepts filaments from many different manufacturers – a clear advantage over some other 3D printers on the market. As a result, this 3D printer strikes the perfect balance between affordability and good print quality; its main shortcoming is its build-quality which suffers from its use of several non-durable components. The M3D has a number of worthwhile characteristics despite being somewhat expensive for a 3D printer geared towards novice users. It is also very easy to set up; after unboxing it, you will only need to make a few simple connections before it is ready to use. Its software (available for Windows) is also highly intuitive and easy to install. The M3D’s print quality is very good and you are sure to be pleased with its results whether printing using its medium or high-quality setting. Despite this 3D printer’s small size, it is able to print relatively large models – a very interesting feature for a printer in this price range. However, when printing highly detailed models, you may notice a few small imperfections. The M3D is able to print using different kinds of materials (from a wide variety of manufacturers) but works best with PLA filament. Unfortunately, the M3D’s print speed is very slow. As a matter of fact, it is one of the slowest 3D printers we have ever tested. In summary, the M3D is a good choice for beginners. It has all of the qualities expected of a good 3D printer and is remarkably easy to use. Its major shortcoming is its very slow print speed. 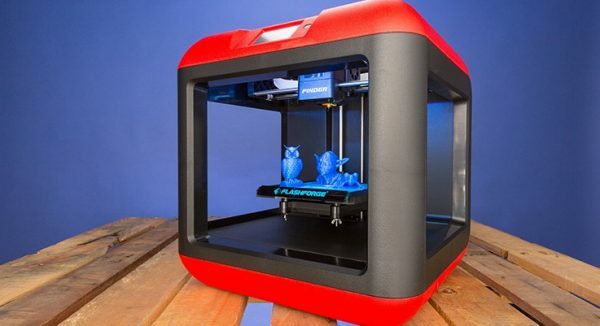 The Flashforge Finder 3D is geared towards beginners who intend to replace their 3D printer with a more professional device at a later date. It has an interesting compact and cubical design that allows it to print relatively large models. The Flashforge Finder 3D is very easy to set up. Unfortunately, its instruction manual is poorly written. Its software, on the other hand, is very easy to use. Furthermore, its print quality is quite respectable and its printed models are smooth and without apparent defects. Its print speed is also relatively fast – it has a clear advantage over other fast 3D printers that produce poor-quality results. However, the Flashforge Finder 3D is limited to printing using PLA filament which severely limits its printing options. In short, this printer is a good choice for beginners (and anyone interested in obtaining good-quality printed models) despite being limited to using PLA filament. The best 3D printers in this price range are able to offer advanced users impeccable results without the need for purchasing a more professional (and much more expensive) printer. This 3D printer is well-suited to advanced users with previous experience using this type of device. Its design is quite interesting; its relatively small size makes it easy to transport. Setting up the Ultimaker 2 GO is very easy and only requires assembling a few components and making a few connections. The software provided with this 3D printer is easy to use and highly intuitive, although it is only compatible with Windows. The Ultimaker 2 GO’s print quality rivals that of professional 3D printers. However, it does not support printing via USB and printing must be done via SD card when using the Ultimaker 2 GO. The Ultimaker’s maximum resolution is very good although you may still notice a few minor imperfections when printing using its high-resolution setting (fortunately, these defects are hardly noticeable). Its print speed will depend on the size of the model you are printing and the resolution at which you choose to print it. The more intricate the job, the longer it will take. In conclusion, the Ultimaker 2 GO is well-suited to anyone with a certain amount of previous experience using 3D printers. Its print quality is good enough to satisfy even the most advanced users. However, despite the presence of a USB port on the Ultimaker 2 GO, printing via this method is not supported. This 3D printer is best-suited to users with a certain amount of previous experience using this type of device. It has many interesting features; unfortunately, its poor-quality touchscreen is not one of them. The Digilab 3D45 is quite large and requires a large table or flat surface to place it upon. Despite being quite easy to set up, this Dremel printer has a serious limitation: it is only able to print using PLA filament. Nevertheless, it is equipped with various connectivity options: USB, Ethernet, and Wi-Fi. While its software is easy to use, it is only available for Windows. The Dremel Digilab’s print quality is very good and its printed models are almost entirely defect-free. Many users have praised this Dremel printer for the smooth finish of its printed models. As an added bonus, the Digilab is also silent and fast. In summary, this 3D printer is a good choice for anyone with previous experience using this type of device. The Dremel Digilab’s printed models are of very high quality and almost entirely defect-free. Its main downside is the poor quality of its touchscreen which hinders its ease of use. The Replicator + is a semi-professional 3D printer. As such, it is geared towards more advanced users. While it is very easy to set up (it will only take you a few minutes to hook it up and connect all of its components), you may find its professional software difficult to master if you have become accustomed to using more basic applications. The Replicator’s design is quite compact, allowing it to easily fit on a relatively small surface. While this printer has very good print quality, it still produces minor imperfections on the most detailed regions of its printed models. In the same way as its competitors, this printer’s speed will depend on the size of the model you are printing as well as the quality setting you select. In conclusion, the Replicator + is geared towards semi-professional users interested in obtaining good results. Its main shortcoming is the high price of its proprietary filament. The best professional 3D printer is the Cube Pro Trio. It would have been easy to include 3D printers retailing for upwards of 30 000 euros in this buyer’s guide, but we decided to limit our selection to affordable models. As a result, there is only one professional 3D printer that we saw fit to include in this guide due to its ease of use, the excellent quality of its printed models, and its numerous other interesting features. This 3D printer is a rather expensive professional model. As you might suspect, it is a high-quality product (as much in terms of its overall construction as in terms of its print quality). The Cube Pro Trio has a very elegant design, resembling that of Apple products. 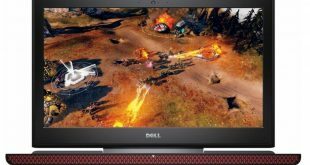 It is also very solid – as is to be expected from such a high-end product. This 3D printer is very easy to set up; in a matter of minutes, it can be ready to use. The software used to control it is also very straightforward and can run on a computer, tablet or smartphone. The Cube Pro Trio’s print quality is quite impressive; it produces flawless and perfectly smooth printed models. Unfortunately, it is limited to using quite expensive proprietary filament – which is a real shame. In summary, the Cube Pro Trio is an excellent printer for its price. It is a professional 3D printer that will allow you to produce high-quality printed models. Its main drawback is its limitation to using expensive proprietary filament – a major shortcoming for such a high-end device. 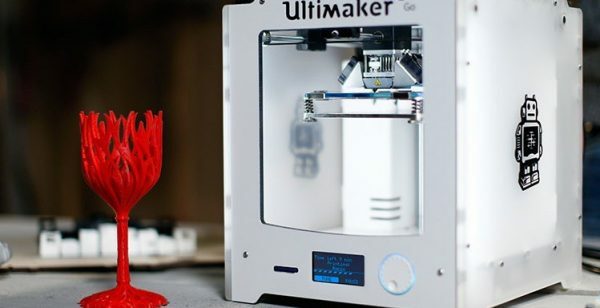 3D printers are not inexpensive and, since it rare to be able to view one of these printers before purchasing it (let alone test it out to verify the quality of its printed models), choosing the right 3D printer can be difficult. With this in mind, there are a certain number of factors that you should consider when purchasing one of these devices. One of the factors to consider when choosing a 3D printer is its design. This can be an important consideration since it will, to a large extent, determine your printer’s placement. If you are an occasional 3D printer user, you will want to choose a model that can be easily stored. If you intend to use your 3D printer quite often, you may want to select a larger model (which will be more difficult to transport). If you are a novice user, you will want to choose a 3D printer that is easy to set up and to use. Some 3D printers are not only difficult to install but can also be difficult to use due to the complexity of their software. Therefore, to the extent possible, you should choose a 3D printer that provides a comprehensive user manual or good online resources. 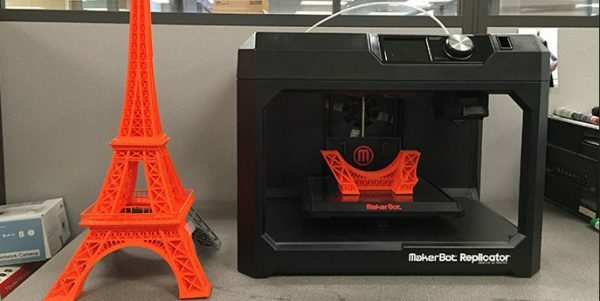 Another factor to keep in mind (for both novice and professional users) is the compatibility of a 3D printer’s connectivity and software. While some printers only offer USB connectivity, others also offer SD card support as well as Ethernet connectivity. You should also pay close attention to the compatibility of a 3D printer’s software; if you are an Apple user, you will need to be aware that many 3D printers only offer software for Windows.